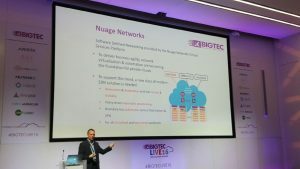 Bigtec, the data center division of Exclusive Networks, approached us around eight weeks before the Bigtec Live 2016 event. 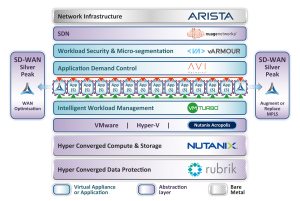 This was a key event for them because it not only introduced four new vendors to partners, it was the platform to launch an innovative new solution to data center technology – Bigtec’s data center in a box – something that hadn’t been achieved before in the industry. We were originally asked to help to plan and run the social media campaign but this very quickly transformed into a full communications and marketing campaign?. With minimal budget, Bigtec had a lot of work to do and it was time for us to get creative. From an early stage in the project we recognized that there needed to be more focus to the event, which we were able to openly discuss with the team at Bigtec. With more clarity we developed a full campaign proposal and strategy to meet these new objectives – including messaging, branding, teaser campaign through to registration and follow up communications. We live tweeted on the day to generate conversations and engagement online for those that were not able to physically be there. In just eight weeks, it was an amazing turn around with all branding completed, logo’s, stands, flyers, email campaign and social media campaigns completed with a great turnout on the day of the event.